John Santos is widely acclaimed percussionist and educator in the Bay Area. 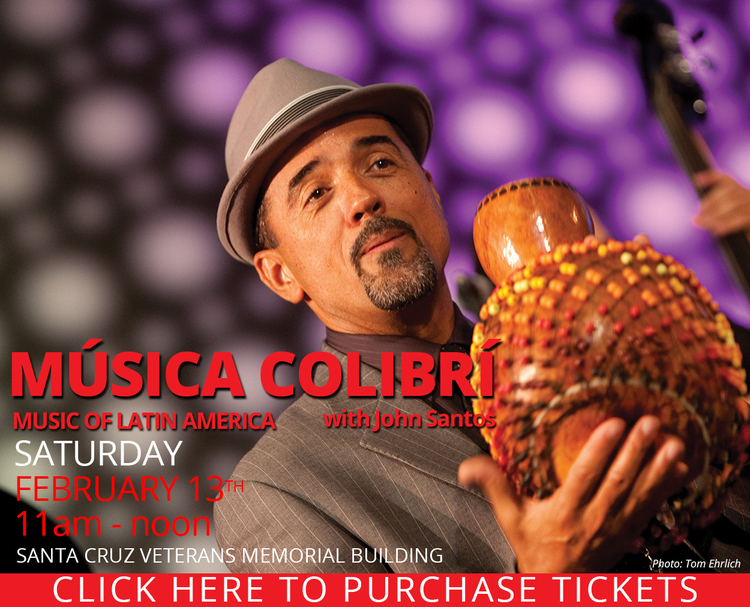 Música Colibrí with John Santos – Experience a wide range of styles, rhythms and songs from Cuba, México, Puerto Rico, Perú, and other Latin American countries plus original compositions from five-time Grammy-nominated percussionist John Santos — one of the foremost exponents of Afro-Latin music in the world today! Introduce your family to the Arts! Tandy Beal & Company‘s ArtSmart Family Concert Series features award-winning artists in circus, music and dance and offers high-quality, interactive and affordable monthly concerts for families in downtown Santa Cruz! All shows are on SATURDAYS at the SCC Veterans Memorial Building from 11:00am – noon. 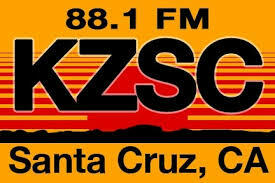 To hear our interview, press the play button below.